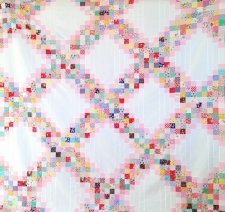 "I have an exciting pattern for you all today! 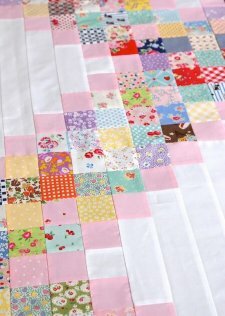 The scrappy Irish chain quilt I've been working on. I've just finished the quilt top so I thought you would all like a free tutorial to join in too!? So do you have your scraps in order? Great, let's get started." 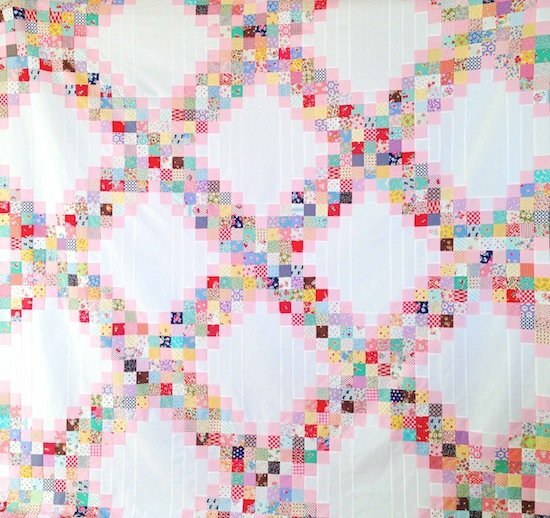 Click here to see her finished quilt pics!